Introducing Call of Duty: WWII Zombies - Official trailer revealed! It’s that time of year again! San Diego Comic-Con is now in full-flow; bringing with it lots of exciting IP announcements and updates from across the entertainment & interactive entertainment industry. Today however, we’ll be focusing solely on Sledgehammers’ new terrifying Call of Duty Zombies announcement. 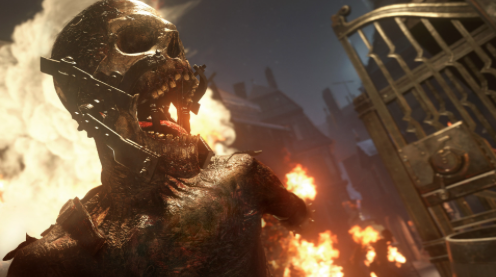 Since the Call of Duty: WWII official announce back in April, both Call of Duty and Horror fans alike have been eagerly awaiting the first real glimpse of Sledgehammers’ take on the renowned Zombies mode. On Thursday at 19:45 BST, that moment finally arrived. During the Call of Duty: WWII panel at San Diego Comic-con, Sledgehammer Games officially released their first trailer displaying their take on the COD classic – Nazi Zombies. The Zombies game mode is now regarded as a staple ingredient in the yearly Call of Duty offering and has been included in seven of last eight Call of Duty titles (only Ghosts had extinction mode instead). 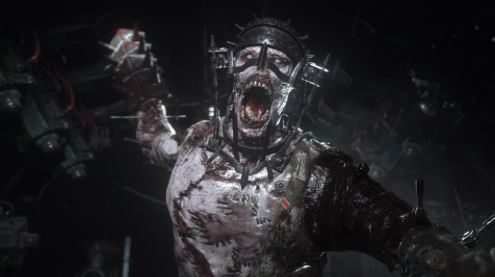 With an ever-growing community dedicated to COD Zombies, the first look at the trailer would suggest that Sledgehammer Games have listened to the COD Zombies fan-base by bringing back horror & gore to the much-loved survival mode. Sledgehammer Games have described their new game mode as “probably the least campy and most terrifying” iteration yet – something which, if the trailer is anything to go by, is a very apt depiction. This announce follows a week of teaser content being shared via their own social channels to get fans excited, including information about character bios and casting choices. When it comes to its casting – Sledgehammer Games have really gone all out. The star-studded Hollywood cast for Nazi Zombies include David Tennant [Doctor Who] as Drostan Hynd, Elodie Yung [The girl with the dragon tattoo & Daredevil] as Olivia Durant, Katheryn Winnick [Vikings] as the intrepid Marie Fischer, Udo Kier [Blade] as Doktor Peter Straub and Ving Rhames [Pulp Fiction & Dawn of the Dead] playing the main protagonist – Jefferson Potts. Sledgehammer boss Michael Condrey has said the Zombie mode will have “some really authentic stuff” including a more grounded back story that’s based on real history. Condrey also confirmed prediction about Sledgehammers influence, adding that the Zombies mode will be “unique to our Dead Space signature”. This is great news for horror fans, as Dead Space was renowned for its fear inducing atmosphere. Here at PowerStation, we can’t wait to get our hands on the game and get stuck into surviving hordes of the undead. November can’t come soon enough. 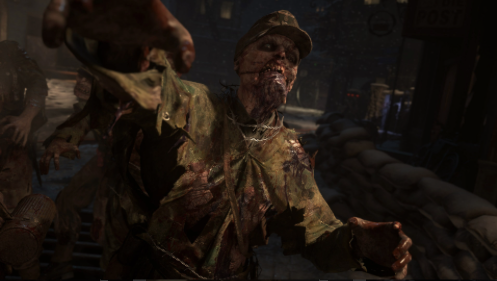 Call of Duty: WWII Nazi Zombies is a terrifying new zombies co-operative experience that transports players into a labyrinth of chilling Nazi experiments and monstrous creations of the occult, set mythically in World War II. Call of Duty: WWII and the included Nazi Zombies mode will be released 3rd November on Xbox One, PlayStation 4, and PC.